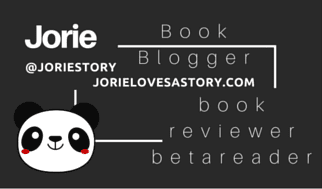 Author Interview | Happily finding another #SwoonReads selection I’d love to be #amreading! This time round a Historical Mystery “The Hummingbird Dagger” – Jorie interviews Cindy Anstey!! Acquired Book By: I was approached to read a different book than the one I asked to read, as the original choice the publicist made for me didn’t feel like a good fit, to be honest. I asked to receive “Those Who Remain” because I have a strong connection to the war eras as I regularly read war dramas and historical fiction set during this period; yet I do not often think to pick up a work of non-fiction that is connected to the eras. I was thankful I could step out of my comfort zone and read a creative non-fiction account set during the Vietnam War. 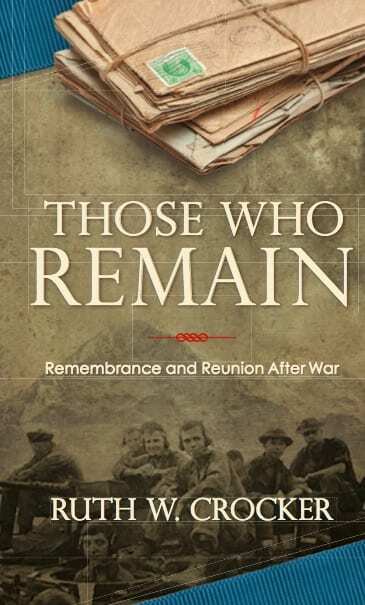 I received a complimentary copy of the “Those Who Remain” direct from the publicist at Claire McKinney Public Relations, in exchange for an honest review. I did not receive compensation for my opinions or thoughts shared herein. Oft-times letters and correspondences are all that will remain after a war between wives and husbands; daughters and fathers; sons and mothers, etc. as war is an uncertain time of unforeseeable tragedy. The words etched into postcards, pieces of paper or scribbled onto napkins or other bits of mail become a lasting tribute to not only the person who gave those words to their loved ones but to the receiver who knew a bit of their thoughts before they passed. Not everyone perishes at war, but for the families who lose their relatives, the sudden separation and the lack of a proper good-bye is mind-numbingly anguishing for many years. When it comes to reading war dramas in fiction, I appreciate the writers who fuse history and fact into their stories, but also allow a breath of connection between those at the front and those back home. Finding letters caught inside the tethers of a war drama is one way to anchour me into that story because of how important those letters were in reality. I read quite a lot of war dramas per year, but I also appreciate certain tv serials who augment the same connections I find in their fictional counterparts such as Foyle’s War and As Time Goes By. The latter had the plot focused on a missing letter which was never delivered and thus, became the impetus of how a soldier and a nurse reunited years later in their golden years. The novel which illuminated the necessity for correspondence at war the best, I felt, was Letters from Skye a novel writ around the letters themselves; taking me to a new vein of reality of how a novel can be told. Reviewing this novel twice was a way I could give the author a second note of gratitude for how convicting her story moved my emotional heart. She was 23 years old when she was widowed by war and rather than bury her husband in his coffin, she buried every memory of their brief life together. Forty years later she exhumed the grave and came to terms with her loss and her grief. Nominated for a Pushcart Prize in 2013 writer-teacher-actress Ruth W. Crocker brings her journey of love, loss, and inspiration to the page in her beautiful memoir THOSE WHO REMAIN: Remembrance and Reunion after War (Elm Grove Press). Sometimes the reaction to loss is anger along with the need to be reckless and to search for meaning in what has happened. In THOSE WHO REMAIN, Ruth W. Crocker was propelled by her complex emotions at the time. On the one hand she needed to close the door on her previous life, and on the other she wanted to pay tribute to her husband's memory and escape from her grief. To this end she hiked up to the treacherous North Face of the Eiger, the most notorious mountain in the Swiss Alps, to spread her husband's ashes at the top of the climb they were supposed to do together. Weaving her beautifully-written recollections with diary entries, letters between her and her husband, and conversations with his comrades, Ruth gives readers an intimate glimpse into the life of a woman who faced her fears and braved the forces of nature to learn that she could survive anything that came her way. A unique true story of grief and recovery with a surprising revelation, THOSE WHO REMAIN demonstrates the tenacious will of the human spirit to heal. Ruth W. Crocker, PhD, is a 2013 Pushcart Prize nominated author, writing consultant, and expert on recovery from trauma and personal tragedy. Her memoir Those Who Remain: Remembrance and Reunion After War describes her experience following her husband’s death in Vietnam and how she found resources for healing. featured in the Gettysburg Review, Grace Magazine, The Saturday Evening Post, O-Dark-Thirty, and T.A.P.S. Magazine. 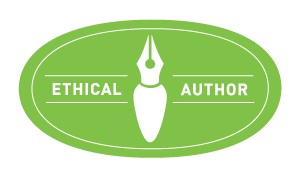 She received an MFA in Creative Nonfiction from Bennington College, a PhD in Nutrition and Human Development from the University of Connecticut and a Master of Education from Tufts University. Along the way she also became a Registered Dietitian. Crocker worked in health care administration and clinical nutrition before becoming a full-time writer. Currently, she is the Writer-In-Residence at Riverlight Wellness Center in Stonington, Connecticut, where she teaches the art of writing memoirs and personal essays to aspiring writers who want to express their own stories. She lives, cooks, and writes in Mystic, Connecticut. There is a point in the story where Crocker mentions the true blessing of living histories (what my family refers to as the stories of our relatives and relations throughout our ancestral past) where we become tethered to our family through the living memories of people who lived before our own time. Sometimes these can be peppered with your living relatives recollections of their lives in the decades before your birth, but generally speaking, it’s a way to keep a tangible impression of your family’s journey through time refreshed and known for the generations who are coming down the line. I appreciated these stories because they clarified a few finer points of the historical past where I found a bit of fault with lessons in school; as I was being given a wider picture than the option only to recount facts and tidbits someone else deemed worthy of my attention. In a conversation on Twitter earlier in 2015 (believe during #HistoricalFix; follow @HistoricalFix), it was mentioned that if historical fiction was taught in school (especially the authors of today or yesterday who conduct such impressive research to ground their stories) we would have a whole new appreciation for history as a whole. I tend to agree with this sentiment whole-heartedly because when the ‘past’ comes alive for me as I read a novel, it is a kind reminder of how much the past was ‘alive’ for me through the stories of my family. We have a need to make connections whilst we’re alive, it’s not only how we process information and keep a stronghold of knowledge vibrant and a part of who we are, it’s a way of how we internalise what we’re experiencing.